A SENIOR Iranian military commander has warned Iran is prepared launch a war and wage a campaign of terror against the United States as he hit back after incendiary tweets posted by US President Donald Trump earlier in the week. And Major-General Qassem Soleimani has claimed that if the US starts a war, “Iran will finish it”. Mr Soleimani, who heads up the Quds Force of Iran’s powerful Revolutionary Guards Corps, was reported by various Iranian news agencies as having made his comments during a speech in the city of Hamedan. He said: “As a soldier, it is my duty to respond to Trump’s threats. If he wants to use the language of threat, he should talk to me, not to president Hassan Rouhani. “What could you have done against Iran in the past 20 years that you haven’t done already? At the end, the victory belonged to the Iranian nation. “You know that this war will destroy all that you possess. You will start this war but we will be the ones to impose its end. “Therefore you have to be careful about insulting the Iran people and the president of our Republic. He also said that the Red Sea was not secure while US troops were deployed in the area. Saudi Arabia said on Thursday it was temporarily halting all oil shipments through the strategic Red Sea shipping lane of Bab al-Mandeb after an attack on two oil tankers by Yemen’s Iran-aligned Houthi movement. Yemen, where a US-backed, Saudi-led coalition has been battling the Houthis for three years, lies beside the southern mouth of the Red Sea, one of the most important trade routes in the world for oil tankers. The state-run Mehr News Agency also quoted him as saying: “Ask your then commander about whom he sent to me to beg for coverage for the American troops against the attacks of Iraq’s Mujahideen Army until they could leave the country. 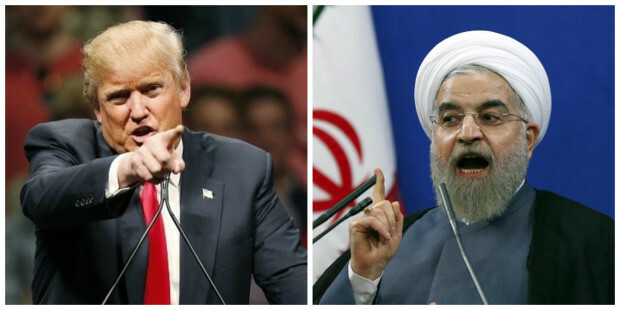 Mr Trump’s fiery tweet was prompted by a speech delivered by Mr Rouhani at the weekend, during which he warned the US “not the pull the tiger’s tail” and said a confict between the two nations would be “the mother of all wars”. 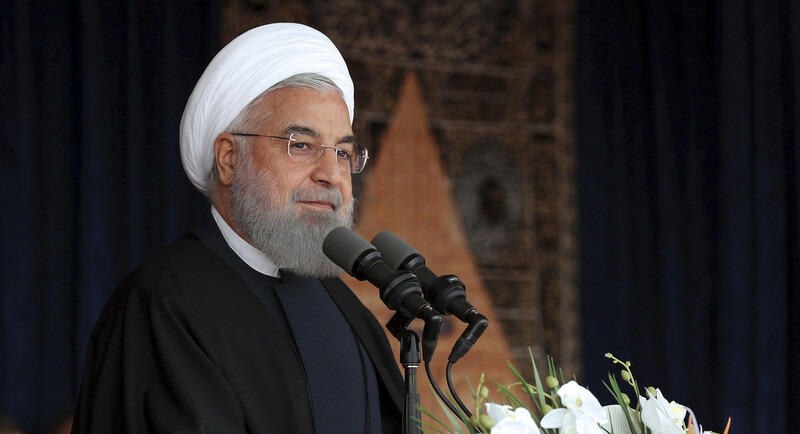 In turn, Mr Rouhani may have been irked by US secretary of state Mike Pompeo’s characterisation of his regime as a “mafia” state, as well as the US’s withdrawal from the JPCA nuclear agreement and reimposition of sanctions on the Islamic republic. Mr Pompeo has also encouraged dissenters within Iran, possibly in the hope of encouraging further demonstrations – SOAS professor Arshin Adib-Moghaddam yesterday told Express.co.uk this would backfire by encouraging Iranians to get behind their leadership. In a statement read in English after a cabinet meeting yesterday, Mr Rouhani said it was not worth responding directly to Mr Trump’s comments. Perhaps surprisingly, Mr Trump’s opening tweet of the day did not address the situation, but rather levelled criticism at Twitter for something completely unrelated. 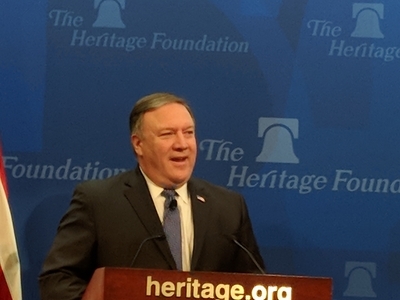 New sanctions are around the corner that could help “crush” Iran’s ability to fund terrorism and its nuclear program, Secretary of State Mike Pompeoannounced Monday in a speech at The Heritage Foundation. Pompeo promised the “strongest sanctions in history.” He listed12 demands that Iran would need to fulfill to have the sanctions lifted. These demands include an end to Iran’s support for terror; carte blanche inspection of Iranian nuclear sites by the International Atomic Energy Agency (IAEA); and ending ballistic missile proliferation. On May 8, President Trump announced the end of U.S. participation in the Iran deal,formally known as the Joint Comprehensive Plan of Action (JCPOA). European governments, however, say they plan to remain in the agreement. Pompeo slammed the Obama administration, which negotiated and pushed for the deal, for failing to listen to critics who argued that releasing approximately $100 billion in frozen assets to Iran would increase its ability to support terrorism. Iran used the released money from the JCPOA to fund the IRGC, the Taliban, Hizballah, Hamas and the Houthis in Yemen, Pompeo said. Iranian backed militias under Soleimani’s leadership control a wide swath of territory between the Iran-Iraq borders all the way to the Mediterranean. Israel recently launched retaliatory strikes on Iranian targets in Syria after Iranian rockets landed in the Golan Heights. Al-Qaida leaders also continue to be harbored in Iran. Last week, the Trump administration sanctioned the IRGC Quds Force and imposed sanctions on the head of Iran’s central bank, which Pompeo said funded Hizballah and other terrorist organizations. “The Iranian economy is already in free fall. That has to put a crimp in the regime’s capacity to fund surrogates. If the administration follows through there certainly won’t be more money to spread around,” James Carafano, vice president and director of the Center for Foreign Policy Studies at the Heritage Foundation, told the Investigative Project on Terrorism (IPT). U.K.-based exiled Iranian dissident and author Babak Taghvaee criticized Pompeo’s speech on Twitter for not including human rights as a condition for lifting sanctions. “Iranians could have helped #US to not only achieve these twelve objectives rather more,” Taghvaee told the IPT. Other Iranians responded by creating #ThankYouPompeo and #IranRegimeChange hashtags on Twitter. “The Iranian nation has successfully resisted bullying attempts by America and other arrogant powers and we will continue to resist… All Muslim nations should stand united against America and other enemies,” Ayatollah Ali Khamenei said. Iran’s top authority criticized Trump for saying on Tuesday some countries in the Middle East “wouldn’t last a week” without US protection. “Such remarks are a humiliation for Muslims … Unfortunately there is war in our region between Muslim countries. The backward governments of some Muslim countries are fighting with other countries,” Khamenei said. Shiite Iran and Sunni Saudi Arabia have long been locked in a proxy war, competing for regional supremacy from Iraq to Syria and Lebanon to Yemen. President Trump’s Fox & Friends appearance piled on more to the saber-rattling between Middle Eastern powers in recent weeks. Earlier this month, senior Iranian cleric Ali Shirazi threatened to destroy Tel Aviv and Haifa if Israel takes any “stupid measures,” and Israeli Defense Minister Avigdor Liberman shot back on Thursday. “If Iran strikes Tel Aviv, Israel will hit Tehran and destroy any Iranian military site in Syria that threatens Israel,” Liberman told London-based Saudi newspaper Elaph on Thursday. Meanwhile, a top advisor to Khameni announced Thursday that the Islamic Republic will not accept any change to the Iran nuclear deal, as Western signatories of the accord prepare a package that seeks to persuade Trump to save the agreement. “Any change or amendment to the current deal will not be accepted by Iran… If Trump exits the deal, Iran will surely pull out of it.. Iran will not accept a nuclear deal with no benefits for us,” Ali Akbar Velayati said. The Islamic Republic of Iran has proxies serving as “sleeper cells” in the U.S., according to sworn congressional testimony. Yet, U.S. news outlets have largely neglected the story. Several “intelligence officials and former White House officials confirmed to Congress” on April 17, 2018, that “Iranian agents tied to the terror group Hezbollah have already been discovered in the United States,” according to a Washington Free Beacon article by reporter Adam Kredo (“Iranian-Backed ‘Sleeper Cell’ Militants Hibernating in U.S., Positioned for Attack,” April 17, 2018). The officials told members of Congress that it would be “relatively easy” for Iran to use its proxies to carry out attacks in the U.S.
Hezbollah is a Lebanese-based, Iranian-backed, U.S.-designated terrorist group. Hezbollah calls for Israel’s destruction and has murdered hundreds of Americans, as CAMERA detailed in its 2016 backgrounder on the organization. Michael Pregent, an adjunct fellow at the Hudson Institute, a Washington D.C.-based think tank, and a former intelligence adviser to U.S. Army Gen. David Petraeus, told the U.S. Congress that Hezbollah was “as good or better at explosive devices than ISIS,” “better at assassinations and developing assassination cells” and “better at targeting.” Indeed, as CAMERA has noted, former U.S. Deputy Secretary of State Richard Armitage referred to Hezbollah as the “A team” of terror groups. Although the majority of analysts testified that Iranian proxies like Hezbollah pose a threat to the U.S. homeland, many news outlets failed to report their testimony. A Lexis-Nexis search showed that The Washington Post, The Baltimore Sun, USA Today, among others, did not report the analyst’s remarks. By contrast, The Washington Free Beacon provided a detailed report. Ottolenghi noted that U.S. law enforcement arrested two Hezbollah operatives, Samer El Debek and Ali Mohammad Kourani, indicting them in May 2017 for “casing targets for possible future terror attacks.” Both were members of Hezbollah’s External Security Organization (ESO), also known as the Islamic Jihad Organization (IJO) or External Security Apparatus (ESA). ESO is tasked with carrying out terrorist attacks and other operations, such as money laundering and drug smuggling, throughout the world. The two Hezbollah operatives—both naturalized U.S. citizens—underwent military training in Lebanon and procured explosives, as well as night-vision goggles and drone technology. Ottolenghi testified that El Debek scoped out potential targets, including New York’s John F. Kennedy and La Guardia International Airports and the U.S. Armed Forces Career Center in Queens, New York. In 2007, Iranian proxies planned to blow up the fuel tanks at JFK airport, but were thwarted by authorities. 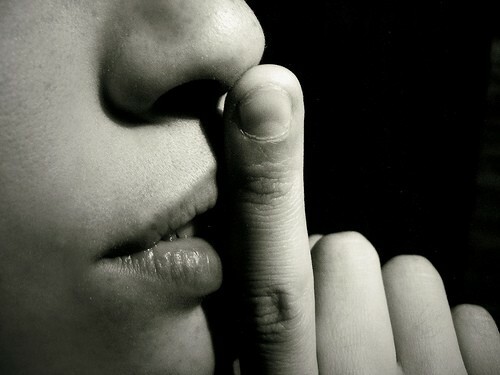 Such a threat warrants coverage from news providers; not silence. His position on Iran may not last much longer. But for now, it’s a striking change. As former President Barack Obama’s top commander in the Middle East, then-Gen. James Mattis pushed for military strikes to punish Iran for arming anti-American militias in Iraq. But as President Donald Trump’s defense secretary, Mattis has softened his stance and emerged as one of the administration’s chief voices of moderation toward Tehran. In the past year, Mattis has openly contradicted Trump by testifying that Obama’s nuclear deal with Iran “is something that the president should consider staying with.” (Trump declined once again to scrap the agreement Friday despite repeated pledges to do so.) And with U.S. troops and their Iranian counterparts often in close quarters in Iraq and Syria, Mattis has so far declined to take a confrontational approach to limiting or rolling back the influence of Tehran and its proxies. The shift has surprised some insiders. “For those who were looking for Qasem Soleimani to drop dead the first year of Secretary Mattis’ tenure, that hasn’t happened, obviously,” said one senior administration official, referring to an Iranian general accused of interfering with American interests in the Middle East. One reason for Mattis’ new stance: As the Pentagon’s civilian leader, he must balance a much larger menu of global challenges than when he led the U.S. military’s Central Command between 2010 and 2013, according to current and former administration officials with experience on Iran policy who know Mattis well. Another factor is the change in presidents: Instead of working for a commander in chief he viewed as weak on Iran, he now works for one who at times appears to be picking a fight. Mattis’ office did not respond to a request for an interview. Trump’s rhetoric about Iran has been aggressive, especially when it comes to the nuclear deal. As a candidate, Trump railed against what he called the “worst deal ever,” and as president he called it “one of the worst and most one-sided transactions the United States has ever entered into,” even as he has repeatedly punted on killing it. Mattis hasn’t been a dove, either. He has called Iran “the world’s largest state sponsor of terror” and last year authorized a rare strike on Iran’s ally, the Bashar Assad regime in Syria, for its use of chemical weapons against civilians. And he has overseen the shoot-down of Iranian drones when they strayed too close to U.S. forces. But he has also sought to minimize the chances of a bigger confrontation with Iranian forces and their proxies in the region. One area where that has been on display is the battle against the Islamic State in Iraq and Syria. Among analysts who say that the war has widened Iran’s influence in the two countries, a common fear is the establishment of a “land bridge,” or uninterrupted ground resupply route, from Iran through Iraq into regime-controlled territory in Syria. After U.S.-backed militias liberated the Syrian city of Raqqa last fall, Iranian-backed forces made a dash for the Iraq-Syria border that some saw as the final step in building the land bridge. Iran hawks had criticized the Pentagon for closing one of its two remote border outposts ahead of that move, saying that keeping it open might have prevented the land bridge from coming to fruition. But at a recent news conference, Mattis downplayed that fear. “I don’t think there’s a land bridge right now,” he told reporters, saying Iranian-backed forces don’t have the kind of unfettered access across the border that the phrase suggests. As the war against the Islamic State winds down this year, however, and the Pentagon settles on a new role for U.S. troops in Iraq and, especially, Syria, Mattis may approve tougher pushback against Iranian interference, the current and former officials said. That means he would revert to his old hawkishness if he thinks the situation warrants it. Mattis also remains concerned about Iranian land access to Syria, despite his public denial, according to the senior administration official. 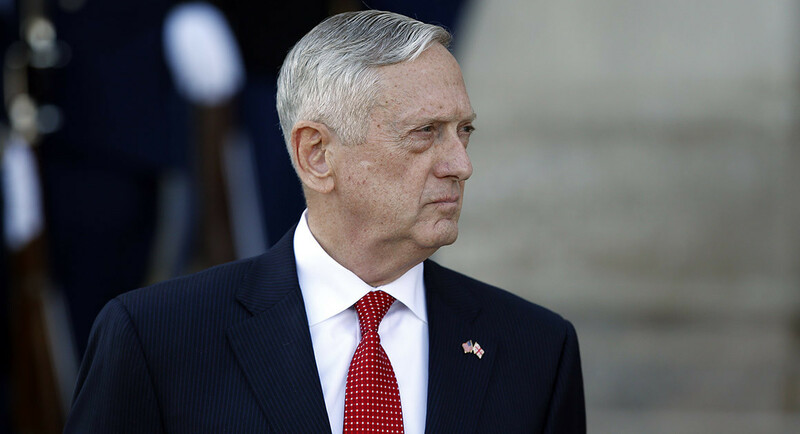 Andrew Exum, who oversaw Middle East issues as a Pentagon official under Obama, agreed that Mattis’ restrained approach on Iran during his first year at the Pentagon might give way to a more aggressive one in year two. In 2017, Exum said, Mattis was focused on finishing the fight against the Islamic State that he inherited from the Obama administration. This year, though, “the Trump administration is now appropriately moving on to some of the unfinished business we left for them,” including starting to roll back Iranian influence now that ISIS is out of the way. The fate of postwar Syria may be decided in part by the on-again, off-again U.N.-brokered negotiations known as the “Geneva process.” Those talks are seen as the main hope that the future of the Syrian regime and the rebel groups opposing it can be decided diplomatically. During a trip to Europe in November, Mattis said publicly for the first time that he supported the Geneva diplomatic process. For Syria watchers, it was the first hint he had given of a potential future U.S. military mission in Syria with broader goals than simply defeating ISIS, the Pentagon’s stated mission in the country. Jeffrey said Mattis’ remarks suggested he sees a role for U.S. troops in backing the Kurdish and Arab rebels they aided against the Islamic State, and preventing those battlefield allies from being subsumed by the regime and its Iranian patrons. “That’s a way to pressure the Syrians and Iranians and ultimately the Russians to accept a political process that will create something other than the horrors of the Assad regime,” Jeffrey said. But what form that pressure might take is unclear. Eric Edelman, who was the Pentagon’s top policy official during the George W. Bush administration, said one way would be to continue using U.S. special operations forces and air power to advise and back up the same Kurdish and Arab militias alongside which they’re already fighting — only now with an aim toward empowering them against attacks from Iranian-backed forces. “You have to have your own forces there behind them so they have leverage in any political negotiation,” he said. But American troops are in Syria under the legal justification of fighting an offshoot group of Al Qaeda, the group against which the 2001 Authorization for Use of Military Force is targeted. Military action to take on Iran and its allies in Syria would fall outside that authorization and might require additional permission from Congress. With thousands of U.S. and coalition troops deployed in Iraq, where they are vulnerable to retaliation by large militias that Iran has advised and armed, the risks of any kind of U.S.-backed military action to roll back Iranian gains in Syria are high, Jeffrey said. But the alternative won’t be appealing to a defense secretary who still sees Iran as the greatest regional threat, either.